We know what you’re thinking – “Call of Duty: Black Ops II is my favorite psuedo-realistic war FPS that also for some reason features the undead, but you know what would make it even better? If I could get my mob movie fix from the game, too.” Wish no more, loyal BLOPS-ers, as upcoming DLC for the game’s Zombie mode has you covered. 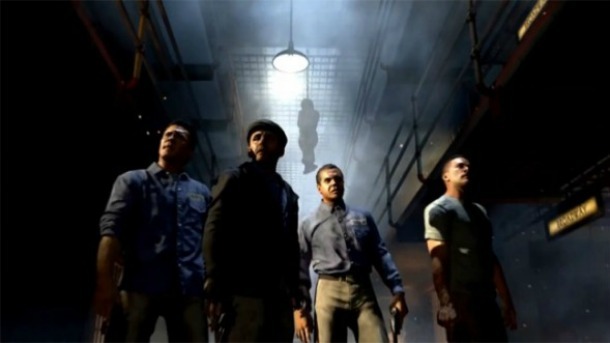 “Mob of the Dead” throws a rag-tag crew of prohibition-era inmates, played by four famous movie mobsters – Chazz Palminteri (The Usual Suspects), Michael Madsen (Reservoir Dogs), Ray Liotta (Goodfellas) and Joe Pantoliano (The Sopranos) – into the scariest, spookiest prison of all time – Alcatraz (The Rock) – and fills the whole danged place with zombies, necessitating the four-player, wave-based survival-horror action the game mode has become known for since it debuted in Call of Duty: World at War in the way-back time of 2008. “Uprising” hits Xbox Live on Friday; the DLC will debut as an Xbox-exclusive and release for the PlayStation Network at a later date. Aside from “Mob of the Dead,” the pack will include four maps for use in traditional multiplayer modes. Are you still playing Black Ops II? Are you excited by the idea of fresh zombie action? Let us know in the comments.